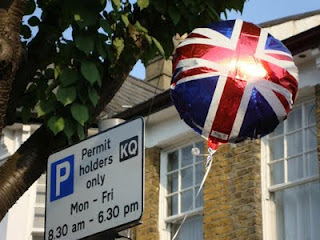 Street parties over the weekend in Hartland, Creighton and Radnor Roads. Bird Walk in the Park and Paddington Old Cemetery also on Saturday 2nd June. Meet outside the cafe in Queen’s Park at 9.45am. If you’re late, join the walk in the woodland walk, or in the Paddington Old Cemetery, Willesden Lane. Total time about 90mins. All welcome, but under 8s may get bored. Bring binoculars if available. Children please bring an adult with you. If you can, let Robin Sharp know you’re coming (tel 0208 969 0381 or robisharp@gmail.com). 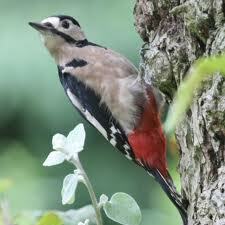 We might see this greater spotted woodpecker. “From 11 June 2012 we will be delivering a roll of 26 kitchen caddy liners to you with a guidance leaflet. These kitchen caddy liners will help you to easily separate your food waste from the rest of your household waste. Please continue to wrap your food waste in newspaper or paper until you receive your delivery of free kitchen caddy liners from us. Do not use any types of bags to wrap your food waste until you receive your free delivery. The guidance leaflet will provide you with a step by step guide on how to use your new kitchen caddy liners and what to do when you run out. Kilburn Library closed for refurbishment until 10th September. Books not due back until 17th September, but you can return them to another Brent library (if you can find one still open – try Willesden Green Library Centre). Another possibility is to join Camden Libraries (with proof of address and your Brent Library card) and use the new Kilburn Library Centre at 12-22 Kilburn High Road. Just go in and fill in the form online. Very helpful staff. 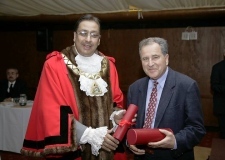 New Mayor of Brent appointed. None other than one of our councillors, Michael Adeyeye. His chosen charities for his year in office are The Brent Association for Disabled People, the Sickle Cell Society and Rays of Sunshine, a children’s charity. Book Festival 19th and 20th May. 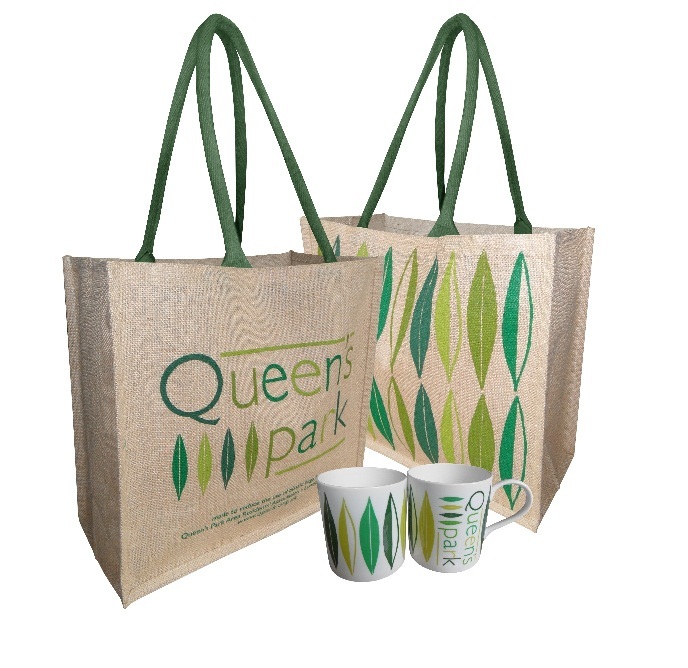 Book Festival tickets on sale at QPARA’s stall at the Farmers’ Market TODAY Sunday 13th May, 10am to 2pm. £15 for a weekend ticket (advance only), or £10 (£8 concs) for a day ticket. All under 18s free. 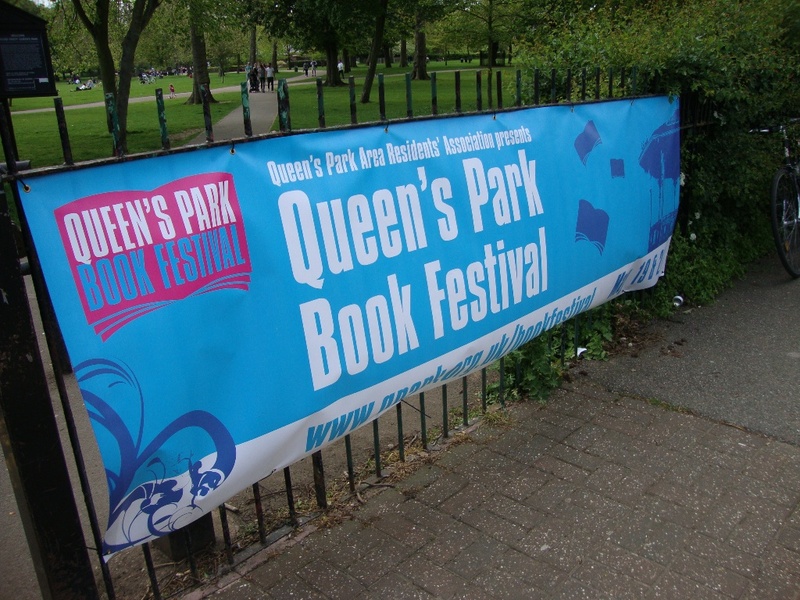 Queen’s Park Book Festival tickets now on sale at Queen’s Park Books. Tickets consist of Festival Wristbands and programmes. Don’t miss the amazing value weekend ticket – only £15 – in advance only and only from the Bookshop. If you can’t easily get to the shop, phone them on 020 7625 1008 and ask for a Weekend Ticket to be reserved. Payment by cash or cheque only please. Today is World Book Night. Join campaigners for a candle-lit event between 7.30 and 9.30pm this evening at Kensal Rise pop-up library. Junction of College Road and Bathurst Gardens. Brainstorming session on membership Who should we be trying to recruit? How should we go about it? 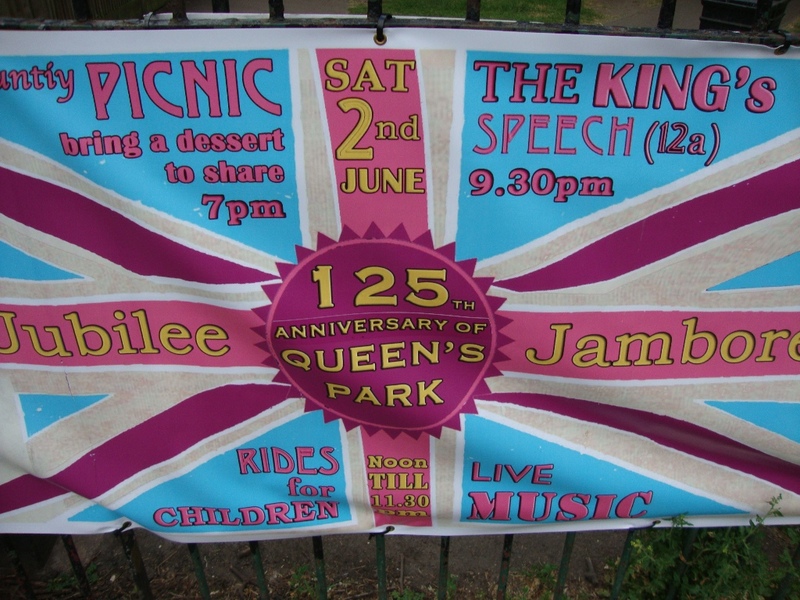 at Kensal Rise Primary School, Harvist Road, London NW6 (new venue). 7pm prompt. “The council’s ward working team would like your ideas to help shape their funding priorities in the new financial year – 2012/13. Attendees will be invited to break into their respective wards to share their suggestions. This is an excellent opportunity for residents and service users to contribute positively to their local area”. Come along and see if you get that opportunity! For further information, please contact Bola Olatunde on 020 8937 1073 or email consultation@brent.gov.uk. The Quiz night to launch the Book Festival was a great evening all round. Excellent questions – tricky but not too tricky and across a broad range of topics by Simon O’Hagan, delivered with style by Jamie Newall, while around 16 teams battled it out sustained by snacks and drinks. 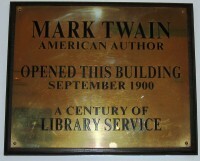 Some photos already on twitter, more on the Book Festival page. Still a few tickets remaining. £10 (£8 concessions). Make up a team of up to 6 or just come along and join a team on the night. 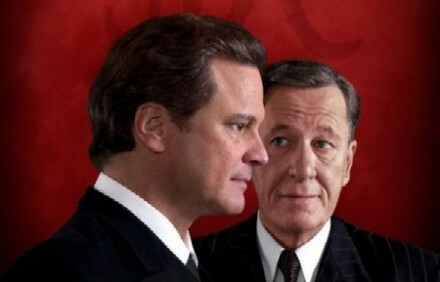 Ticket price includes glass of wine and nibbles. More wine and soft drinks on sale. We will be announcing author names for the Book Festival. 7.30pm at Salusbury School Electric Hall (corner of Lonsdale Road). See you there later! Local group, Transition Town Kensal Kensal to Kilburn have just made the allotment in Queen’s Park bigger. Watch them at work! The Quiz is at 7.30pm on Friday 30th March in Salusbury School’s Electric Hall. Tickets £10 (£8 concessions) to include a glass of wine and nibbles. More drinks on sale. General knowledge with a slight bookish bias (but not as fiendishly difficult as last year). Teams of six – organise in advance or join a team on the night. We’ll be announcing some of the authors appearing at the Festival. We’d also love you to sponsor us by joining as a Festival Friend for £25 either at the Quiz or any time at the bookshop. Hurry and your name will be listed in the Book Festival Programme. Brent and Camden Councils are jointly organising an Exchanging Places event on Thursday 22 March between 2 and 5:30pm at the College of North West London (Kilburn Campus), Priory Park Road, NW6 7UJ. Exchanging Places events are aimed at cyclists and involve an HGV parked in a location that allows cyclists to climb into the cab and watch another cyclist ride up the left side of the vehicle to see the restricted view from the driver’s seat. The aim of these events is to raise awareness of HGV drivers’ blind spots and reduce the number of accidents involving cyclists and HGVs. In addition to the HGV, there will be a couple of stalls with Dr Bikes, Cycle Security Marking and general cycle promotion and information materials. “A number of you have asked about the current status of the Streetwatchers scheme. The officers who administered the scheme chose to leave during the council’s recent restructuring programme. The scheme, therefore, no longer enjoys dedicated officer support and cannot be administered in the same way. That means that whilst we are still keen that you make us aware of any street scene problems in your area, we are no longer in a position to recruit new members, to host the Streetwatcher conference or to issue newsletters and organise trips. “Brent Council is undertaking a programme of public consultation on its draft Food Growing and Allotments Strategy from 12th March to 31st May. The draft strategy unites food growing and allotment provision in Brent under a single vision, set of objectives and action plan. It covers all 22 Council owned allotment sites and 30 independent food growing spaces in the borough and seeks to provide a range of opportunities accessible to all parts of the community. Stakeholders will be able access a copy of the strategy, action plan and give their views online at www.brent.gov.uk/consultation. In addition you can hear more about the draft strategy at the council’s Area Consultative Forums in April or attend a drop in session on Wednesday 28 March from 4.30pm to 6.30pm in Committee Room 4, Brent Town Hall, Forty Lane, Wembley, HA9 9HD. 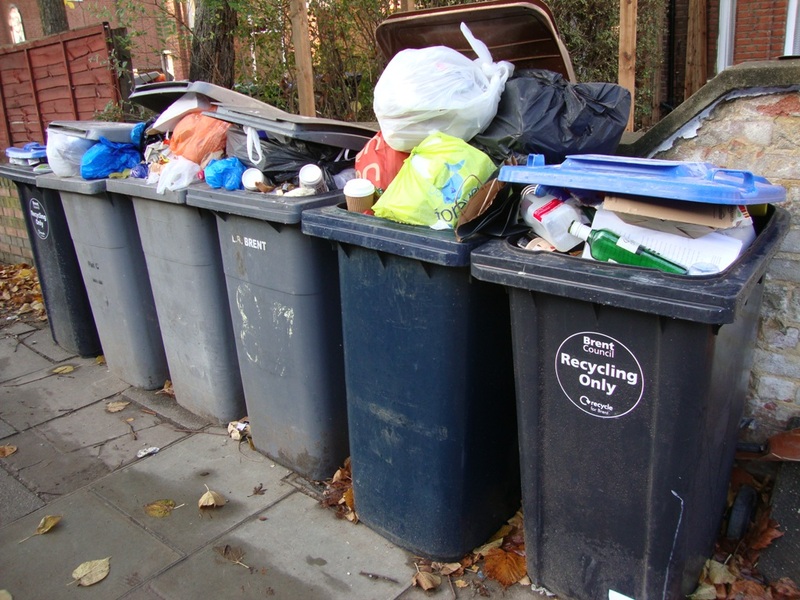 Approved with one ammendement that relates to the storage of waste. It should be such that it doesn’t allow odours to pass up to NY Pilates Studio upstairs. The force with which the exhaust kitchen gases/smells is/are emitted is said to be such that they are unlikely to spill in Hartland Road gardens. The opening hours are as in the report (8am-11pm)and not extended as requested by the applicant. I am writing from Westminster City Council to let you know about our plans to merge Jubilee and Moberly Sports Centres. We will create one new improved centre at Moberly for all residents and businesses in the area. The new centre will be larger than both Jubilee and Moberly combined offering a new swimming pool and improved facilities including an eight-court sports hall, dedicated learner pool, health and fitness suite, exercise and dance studios, a synthetic turf pitch and boxing hall. There will also be community facilities. The £18 million redevelopment will be funded by the sale of residential properties at both sites. Jubilee Sports Centre will remain open whilst Moberly is being refurbished, which is expected to take approximately 18 months. We aim to reopen Moberly in 2014. You can also email newmoberly@westminster.gov.uk with your feedback on our plans or visit www.westminster.gov.uk/newmoberly for more information. The decision of the Court of Appeal on the Judicial Review application was handed down on Monday 19th December at 2pm in Court 72 Royal Courts of Justice on the Strand. The Appeal was dismissed, but the fight goes on read more. To refresh your memory about the grounds of the Appeal read more. You’ll remember that Kilburn Library had a narrow escape from closure as its user figures were lower than Neasden’s, but special considerations were found to apply, so we need to keep an eye on this topic. Keep supporting Kilburn Library by borrowing books there – as part of the Libraries Transformation Project it’s now open 7 days a week.